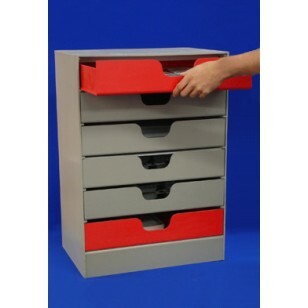 This grey and red 5mm foamed PVC drawer unit is ideal for offices, exhibitions and general storage. 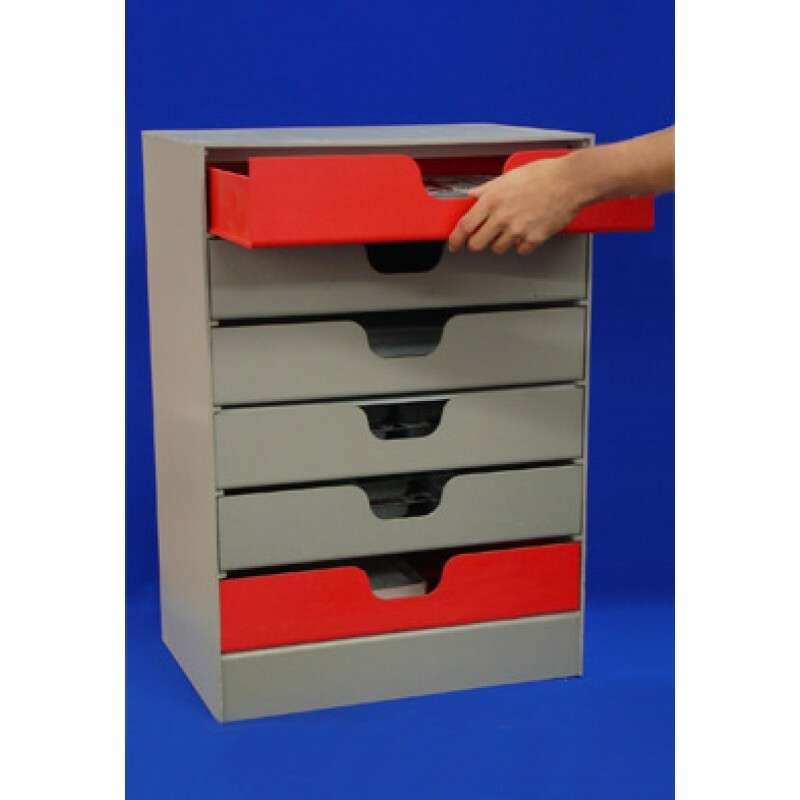 Each drawer has a catch in place to keep it secured and they are also easily removable. Due to the properties of the material these units are very versatile and sturdy yet very lightweight making them easy to transport or move around the office. Units like these are economical in comparison to acrylic draw units. Optional extras such as wheels and print available to suit requirements.